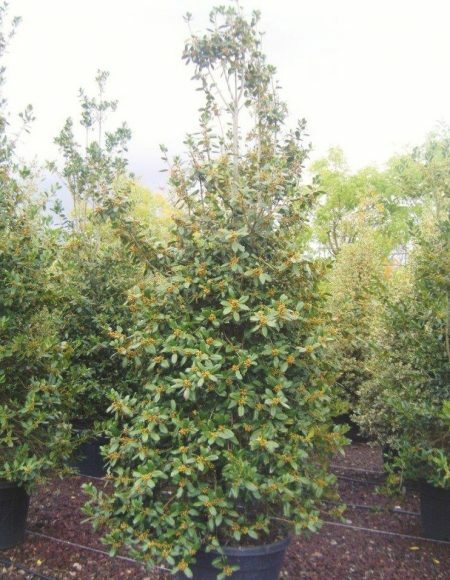 Ilex aquifolium Nellie R Stevens produces an abundance of red berries in the autumn, which brighten up the garden as well as providing food and nesting for birds. Originally cultivated in 1900 in America, Common Holly Nellie R Stevens produces glossy, thick leaves with teeth. 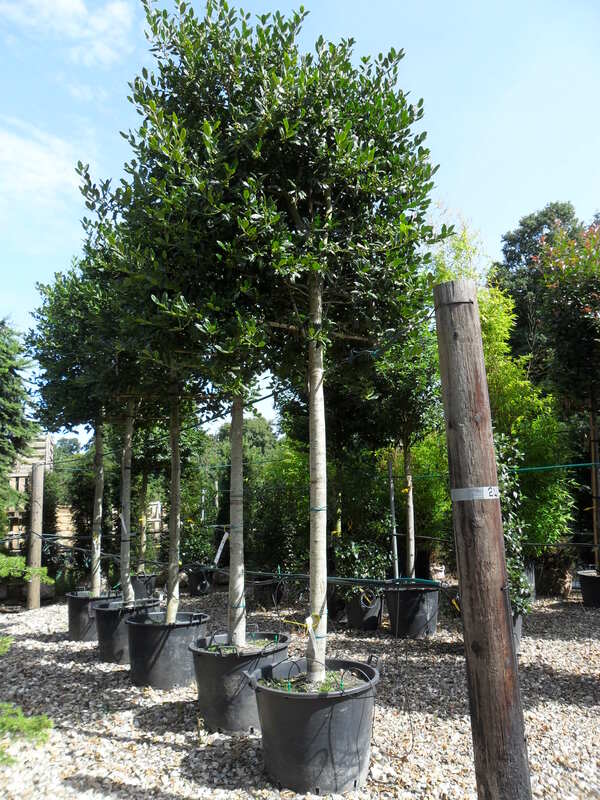 It is ideal for screening due to its symmetrical habit, density and lack of pruning requirements and makes a really good pleached tree too.